We’re enjoying Lisbon. It’s a very relaxed and pleasant place with a lovely atmosphere about it. Today the boys had charge of our navigation and Declan ably took us up to the Castle which dominates the heights above the old city of Lisbon. 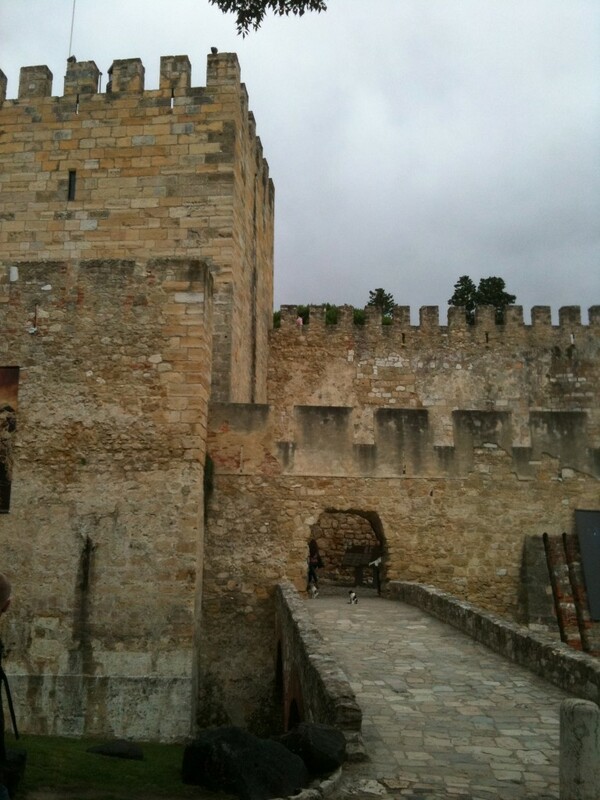 The views from the surrounding terraces are stunning and the castle itself was fun to explore. The boys had a great time making a five-second video of falling into a well. We also managed to track down one of the scenes from one of our favourite books: The Mysterious Benedict Society. We’re still not certain we got a perfect match but at worst we were just next door to the cannon which features in the book. Declan and the Mysterious Benedict cannon. 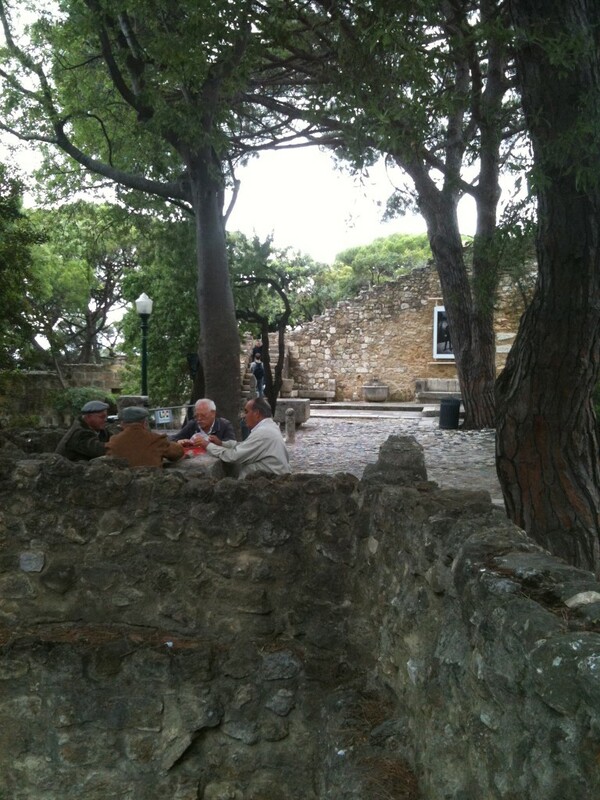 We had a coffee in the Castle and it struck me once again how strange Portuguese is as a language. We really only have two or three words of Portuguese – we did better in China. The problem is that Portuguese is not phonetic and sounds really strange to our ears. So reading things out, from a menu for example, almost always fails. And extracting any meaning from anything said to you is impossible unless you actually know what you’re hearing. That’s in contrast to Italian or even Dutch where there are enough familiar words that you can take a rough stab at meaning. There are two positives on the language front. The first is that most people seem to speak English; far more, certainly, than we found in Southern Spain. The second is that the locals are completely thrilled when the boys say anything in Portuguese – and such positive reinforcement works well for smiles all round.